I remember one of the Dime Stores had one of the four pictures for a quarter and I also believe there was one at the Trailways Bus Station. I think we all tried them one time or another during our childhood. Quite often it was a contest to see how many we could get in the booth to capture our images for eternity. Tonight I went to a local mall for dinner and while waiting for our table I saw one beside the restaurant. Gone are the days when you could get four pictures for just a quarter. 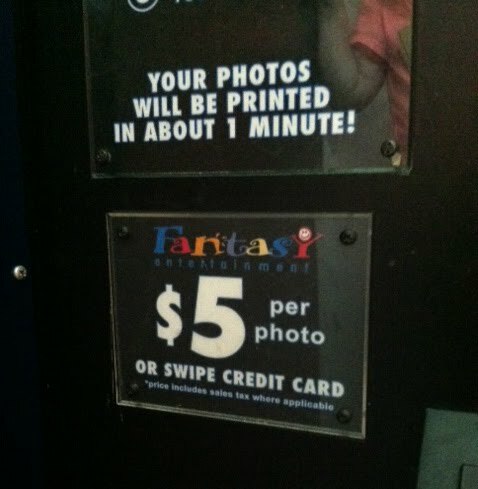 Today's photo booth gives you a sheet of pictures but at the cost of five dollars, quite an increase from the old days. Though I did not take advantage of the opportunity posed by the inviting machine, my mind did flash back to the ones I remember using. Below is a picture of me and my late friend Donald Butler "Buddy" Crabtree when we lived near each other on East Clinton Street. There were four sepia looking pictures which developed in about a minute and the reason I only have two of the pictures should be obvious. He ended up with the other two, as was also the custom back when we did not have much spending money. I would love for any of you who have similar pictures from our Lee or before era to send me a copy to share with your friends and also include a description of the people in the pictures and the occasion should you remember. Thanks in advance for your support in this experiment. Memphis, TN - I received an email this week asking basically why the Class of '64 was having their own reunion this year and not waiting until next year to share the reunion with the Classes of '65 and '66 as we have always done. I cannot give an official reply, since I am not on the official planning committee, but I will give you my idea on the subject. First of all, this is not a replacement for the reunion we have shared in the past based upon the easily remembered years ending in 5 and 0, which the Class of '65 enjoys. This is a special reunion, in my opinion, to for once give special recognition to the landmark year celebrating the true 50th anniversary of the Class of '64's graduation. For years we have accepted celebrating our reunions on odd years to make things easy, the same as the Class of '66. This year is a special year for us and many feel we should honor it likewise. I, for one, still expect that next year (in 2015) we will have the standard 3-class reunion as we have always had and I fully intend to be there the same as I have been in the past. I will probably also be at the Class of '66's 50-Year reunion in 2016 should they elect to have a special one on their special date. The Class of '64 has gone out of their way to invite all classmates who wish to attend and commemorate this special time with them. This is not an exclusive party for only the Class of '64 but for once in 50 years of reunions, I feel others should not get their feelings hurt because this one year we wish to actually observe our real 50-year reunion. Also, because it is the real 50-year celebration there will be some old faces we have not seen attend previous reunions, just because of the significance of this year. We have repeated tried to make it clear that all are invited, but if you do not wish to attend or cannot afford to attend more than one reunion every five years, then you are not expected to attend, but just understand you are invited. Again, this is my own statement and it does not reflect any official policy or statement by the full reunion committee. Before you read the article below, can you remember these three facts about this TV series? (1) Who was the major star of Highway Patrol? (2) What was the name of the character he played? (3) What was his radio call sign? Highway Patrol premiered October 3, 1955 with "Prison Break", an episode filmed April 11–13, 1955. Ziv Television Programs produced 156 episodes spanning four TV seasons, 1955–1959. Episodes are generally fast-paced—notable considering how a typical episode was filmed: two days on location and one day at the studio. The budget for an episode ranged from $20,000 to $25,000, somewhat higher when a Bell 47 helicopter was used. Producer Frederic W. Ziv said the show moved fast to match Broderick Crawford's acting pace. Ziv said Highway Patrol introduced quick cutting to television, which started a new trend. Highway Patrol stars Broderick Crawford as Dan Mathews, the gruff and dedicated head of a police force in an unidentified Western state. A signature shot of the series is fedora-wearing Mathews barking rapid-fire dialogue into a radio microphone as he leans against the door of his black and white patrol car. Mathews growls "21-50 to headquarters" and the invariable response is "Headquarters by" (as in, standing by). Unlike the California Highway Patrol, the agency featured in the TV series was more concerned with chasing criminals than enforcing driving laws. With such limited budgets, there were very few car chases, crashes, and other motor mayhem than is more common in modern police dramas; scenes were often filmed on rural two-lane paved or dirt roads to save money and because Crawford's own driver's license was suspended for drunk driving. Excitement was mainly generated by Crawford's own rapid-fire, staccato delivery of his lines, frequent shootouts, and numerous plot contrivances in which time was a critical factor, such as a hostage death threat, the escape of a violent criminal, a train derailment, or other imminent catastrophe. Gun handling is typical of TV shows of the time—unrealistic and sometimes absurd. Police officers often shoot from the hip, usually with amazing accuracy, even from moving cars and a helicopter. The Smith & Wesson six-round revolvers used by actor officers sometimes emit more than six shots without reloading. A key element of the show is two-way radio communication among patrol cars and headquarters, with heavy use of police code "10-4" (meaning "acknowledged"). While 10-4 adds a feeling of authenticity, real police use many radio codes for brevity and clarity. Dan Mathews unit "21-50" would be a California Highway Patrol unit at office 2. The show's brassy music made such an impact that it was featured on record albums of popular TV show themes, and released as a single (45) by various artists. The theme is credited to Ray Llewellyn, a pseudonym for composer/conductor David Rose . In the four years of its run, Highway Patrol featured many actors later became successful stars in their own right, among them Stuart Whitman, Clint Eastwood, Robert Conrad, Barbara Eden, and Leonard Nimoy. Saddened by the passing of one of my favorite actors, James Garner. Nice tribute to him, Tommy. My favorite film of his was a TV movie co-starring with James Woods, “The Promise”...I was a regular TV viewer of Maverick and watched The Rockford Files too most of the time. He is/was one of the greats and will be missed...The world, entertainment world in particular, will be quite a bit poorer now that he’s no longer with the living. Farewell Mr Baumgarner and may you rest in peace. I am a 1964 graduate of Lee High School. I recently sent my check in order to participate in the 50th reunion festivities in September. At this point all I know is that the reunion is supposed to take place on September 26 & 27th. I have no idea as to where and what the time table will be on that Friday and Saturday. I was a little late on sending my money as I was unsure whether I would be attending alone or possibly have a date with me. My wife passed away about 2 1/2 years ago and I have only recently started dating. I will be attending by myself. Nevertheless I will still need the above mentioned information. I would really appreciate you forwarding this to me and others who also might not know. I am looking forward to seeing everyone again. BTW, I really enjoy reading the "Lee Traveller" on my computer every week. See you in September! I also wanted to mention how very much I have appreciated the weekly articles written by John Drummond. Although I have never been much of a fan of the old westerns, I have, nevertheless, enjoyed reading some little know trivia about those daring gunslingers that we all used to watch on TV, mostly because that was all that was offered. I just want to thank John for taking the time to make a contribution to the Traveller each week. 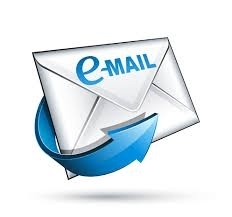 I know that there are many readers of this website each week, and it would be wonderful and interesting if more of them would occasionally send in an article, a letter, or even just a captioned photo. Let us hear from all of you!